Sorting objects by color, number, or type may seem like a simple enough task, but it is a very important early math skill! Children who learn to sort objects at a young age are better prepared to understand complex mathematical concepts later in life. 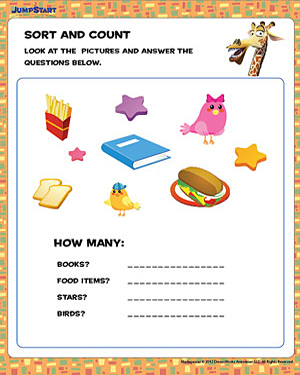 Help your child get ahead in math with this simple sorting worksheet for preschoolers.